Looking to relax and unwind? 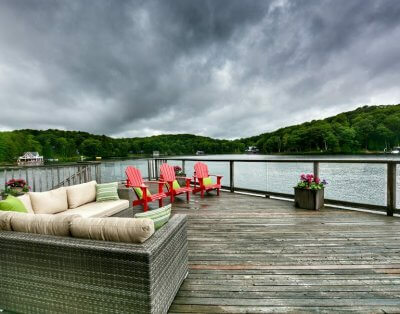 This exquisite cottage offers you Muskoka at its finest and is perfect for a family getaway on Little Lake Joe. This stunning executive cottage overlooks the heart of Lake Joseph, a very desirable quiet and private bay on Lake Joseph. 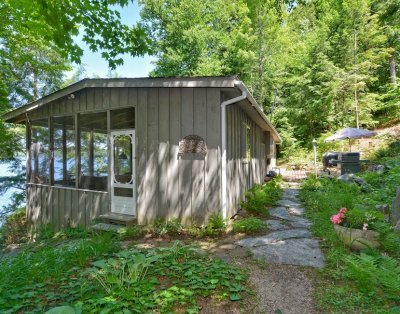 Located just north of Port Carling and south of the town of Rosseau. Its sun-drenched boathouse boasts an upper deck ideal for entertaining, basking in the sun, or watching sunrises and sunsets. There is both deep water swimming and a shallow sandy area by the shore that is perfect for children. This bay is a great location for waterskiing, wakeboarding, and wake surfing! There’s also plenty to explore. Paddle around the crystal clear lake and bays by kayak, canoe, or paddleboat. Or enjoy a walk, run, or bike ride along the hilly cottage roads. Additionally, you can also fish off the dock, spot some birds and other wildlife passing by, take a nap in one of the hammocks, read a book on one of the patios, putter in the cottage gardens, take a steam in the sauna, or grill some s’mores over the campfire. The Great Room/Dining Room features a cathedral floor to ceiling windows with dramatic views of the lake and boasts a granite stone fireplace that extends down into the Games Room below, which includes another fireplace. There are a host of entertainment options in the Great Room, such as a large flat screen TV that includes a large collection of DVD’s, Nintendo, Wii. The fun continues in the Games Room with a pool table, shuffleboard, games table with popular board games, a wet bar with bar stools, and a sauna! Outside on the lower patio you’ll find a BBQ along with a magnificent view! Take in the breathtaking view of the lake from the comfy chairs on the upper deck, or gather around the gas fireplace that’s circled by relaxing furniture on the lower stone patio. The Kitchen features exquisite granite countertops, breakfast bar and stools, as well as a whole suite of appliances. There is also a second propane BBQ just outside. You can enjoy amazing views from the kitchen eating area and upper deck! Step out into the screen porch Muskoka Room and relax in the larger dining area for the authentic Muskoka experience.